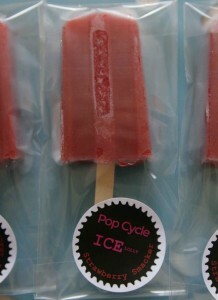 Pop Cycle ice lollies are available pre-packed for sale in your cafe, kiosk, bar, shop, deli or van. 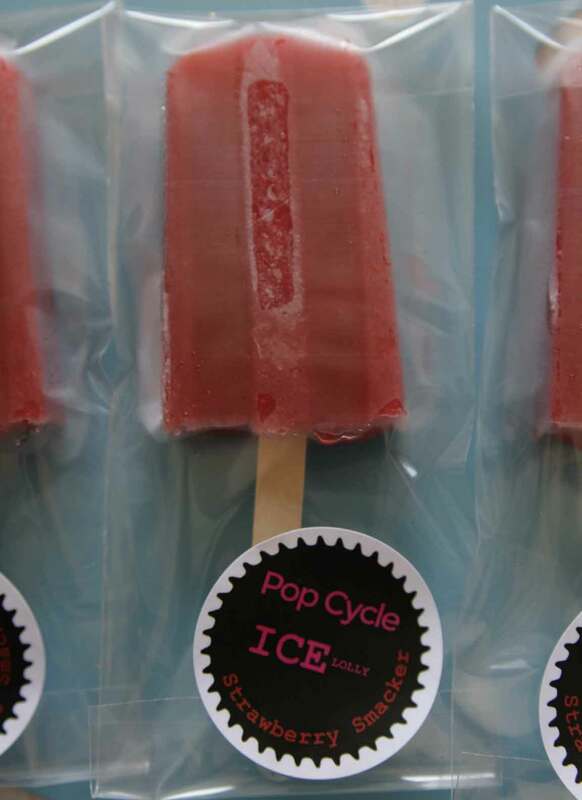 Poptails can be sold for resale to venues with a premises licence. The lollies are available in small or large sizes, in sealed biodegradable packaging. Seasonal specials are also very popular with customers, as a rough guide: Blood Orange (Jan-Feb), Rhubarb (April), Toffee Apple (Sept-Oct), Spiced Pear (Nov-Dec). Flavours may vary dependant on fruit availability. How about a bespoke creation for your cafe? Point of sale materials are supplied.